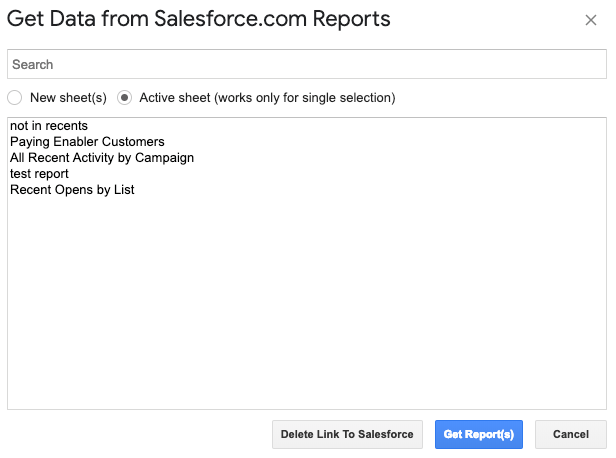 Any report that you’ve created in your Salesforce.com environment is now instantly available in any of your Google Spreadsheets. The most recently run reports will appear first. If you haven’t run a report yet, click the Search button to find the report you need. You can select more than one report and click Get report(s). All of them will be pulled from Salesforce and put each into a separate sheet in your workbook.